Sonia Gandhi also attacked the Narendra Modi government, saying it had assaulted the values, principles and provisions of the constitution. 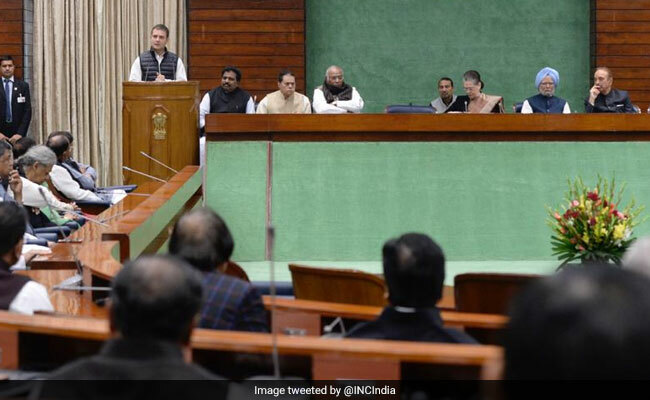 Sonia Gandhi spoke at the Congress Parliamentary Party's general body meeting. Congress leader Sonia Gandhi on Wednesday said that her son Rahul Gandhi had brought "fresh energy" into the party as its president and worked tirelessly to counter the aura of invincibility enjoyed by opponents. "We go to the forthcoming Lok Sabha polls with renewed confidence and resolve. Our victories in Rajasthan, Chhattisgarh and Madhya Pradesh have given us new hope," she said at the Congress Parliamentary Party's general body meeting attended by Rahul Gandhi, former prime minister Manmohan Singh, senior leaders Mallikarjun Kharge and Ghulam Nabi Azad, among others. "Our opponents were earlier projected as being invincible. The Congress president took them head-on, mobilising and motivating lakhs of our workers who, with him, gave their all," she said. "He has worked tirelessly. He has also reached out to other political parties who share our vision of India," Ms Gandhi added. In a scathing attack on the Modi government, she said that "bluff, bluster and intimidation" had been its governance philosophy and transparency had been brazenly tossed aside. 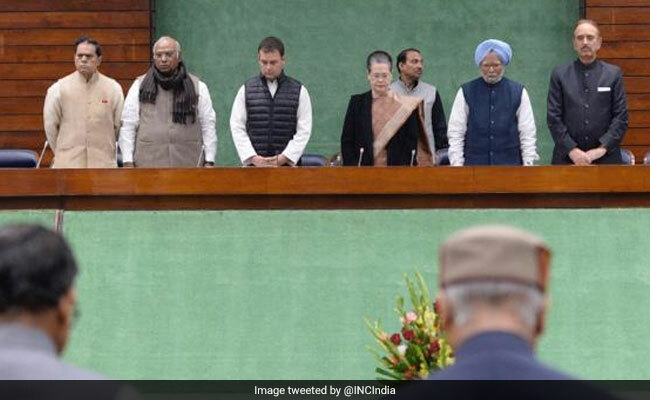 "The very foundations of our democratic republic, of our secular republic have come under systematic assault by the Modi government," the 72-year-old leader, who stepped down as Congress president in 2017, said. "Institutions have been subverted. Political opponents have been hounded. Dissent has been suppressed. Freedom of speech - the most basic of all freedoms - has been sought to be curtailed and silenced," Ms Gandhi said. "There is an all-pervasive atmosphere of fear and strife across the country. The North-East is burning. Alienation in Jammu Kashmir has scaled new heights. Dalits, adivasis and minorities are being targeted. Farmers are facing unprecedented distress. The youth is staring at the abyss of despair with jobs being destroyed on a scale that has never happened before," she added. After the meeting, that also saw an address by Rahul Gandhi, all Congress leaders went on to join a protest outside parliament this morning amid a raging controversy over the Rafale fighter jet deal.